GREETINGS, PROSPECTIVE STUDENT! WELCOME TO THE GREATEST LEARNING INSTITUTION IN THE NEW IMPERIAL COLONIES! ALEXYLVA UNIVERSITY IS RENOWNED ACROSS THE EMPIRE FOR OUR OUR DEVOTION TO STUDENT COMFORT, OUR PIONEERING IN THE FIELDS OF PARATECHNOLOGY, AND OUR TRAVELING FOOTBALL TEAM, THE VICTORIOUS VISIGOTHS. WE HAVE BEEN VISITED ON NUMEROUS OCCASIONS BY BARCA MAGNUS HIMSELF TO EXPRESS APPROVAL OF OUR LONG HISTORY OF ACADEMIC EXCELLENCE AND OUR VAST CONTRIBUTIONS TO THE GLORY OF THE EMPIRE. OUR VARIOUS TECHNOLOGY DEPARTMENTS ARE RESPONSIBLE FOR MANY OF THE EMPIRE'S MOST USEFUL INNOVATIONS, SUCH AS THE VULCANIC ORBITAL MORTAR, THE STEEL PRAETORS, AND OF COURSE, THE PHITRANSIMUN COMBINE'S ALTERNUS BRIDGES. IN ADDITION TO OUR MORE FAMOUS DEPARTMENTS, WE ALSO PROVIDE STUDENTS WITH NUMEROUS OTHER PATHS OF STUDY, SUCH AS PHILOSOPHY, IMPERIAL HISTORY, AND THE ARTS. WE HAVE GRADUATED THOUSANDS OF STUDENTS WHO WENT ON TO FAITHFULLY SERVE THE EMPIRE, AND YOU TOO CAN BE ONE OF THEM! TAKE YOUR FIRST STEPS AWAY FROM YOUR PATERFAMILIAS AND IMMERSE YOURSELF IN OUR CAMPUS CULTURE, PROTECTED BY OUR VERY OWN FORCE OF CAESARIUM PRAETORS. AT ALEXYLVA UNIVERSITY, GROW YOUR INTELLECTUAL PROWESS AND TAKE ADVANTAGE OF THE MOST ADVANCED COMBINE PRODUCTS AVAILABLE TO THE LARGEST UNIVERSITY IN THE EMPIRE! 반갑습니다, 입학을 희망하는 학생 여러분! 제국 신식민지 최고의 교육기관에 오신 걸 환영합니다! 알렉실바 대학교는 학생의 편의를 위한 노력, 초상기술 분야 개척의 선구, 그리고 순회 축구팀, 승리의 비지고츠VISIGOTHS로 제국 전역에 잘 알려져 있습니다. 바르카 마그누스BARCA MAGNUS께선 우리의 기나긴 학술적 우수성의 역사와 제국의 영광을 위한 크나큰 기여에 만족감을 표하기 위해 수차례 직접 방문하신 바 있습니다. 우리 공대의 다양한 학과는 불카누스식 궤도구포, 강철 집정관, 그리고 물론 파이트란시문 합동기업의 알테르누스 다리 등 제국의 가장 유용한 혁신 중 여럿의 요람입니다. 우리는 우리의 유명한 학과들뿐만 아니라 철학, 제국사, 그리고 예술 등 학생들에게 수많은 다른 학문의 길 또한 제공합니다. 우리는 충직히 제국을 위해 봉사하는 수천 명의 학생들을 배출했으며, 여러분들 역시 그들 중 하나가 될 수 있습니다! 여러분의 가부장으로부터의 첫 발자국을 내딛고 대학교 직속 카이사리움 법무관 부대가 보호하는 우리 대학교만의 캠퍼스 문화에 빠져 보세요. 알렉실바 대학교에서 여러분의 지적 기량을 키우고 제국 최대의 대학에서 쓸 수 있는 가장 발달한 합동기업 상품을 사용하세요! Description설명: Mobile Task Force Rho-1 specializes in the acquisition, containment, and transport of anomalies related to GoI-59, "Alexylva University". With the reduction of the threat posed by the specific GoI, the MTF has expanded its focus to any and all containment for anomalous academic endeavors. 기동특무부대 로-1은 GoI-59, "알렉실바 대학교"와 관련된 변칙 존재들을 입수, 격리 및 수송하는 데 특화되어 있다. 해당 요주의 단체의 위협성이 감소함에 따라, 본 기동특무부대는 모든 변칙적 학술활동에 대한 격리로 관여 범위를 확장하였다. Murdering your peers beforehand, while not technically against any rules, goes against the spirit of the election.동료들을 그 전에 살해하는 것은 엄밀히 따졌을 때 그 어떤 규칙에도 어긋나지는 않지만, 선거의 정신에 위배될 것입니다. Similarly, negating the event of their birth should be looked down upon, though substantially less so.마찬가지로 동료의 출생이라는 사건을 무효화시키는 짓도, 약한 수준이기는 하지만 피해야 할 것입니다. Alexylva University is an institution of learning that is located in a universe the Foundation can't reach. The point of divergence in this universe was around 207 B.C. (Or 207 B.E. in Alexyvla), around the time of the Battle of the Metarus River during the Second Punic War. From what the Foundation can gather, Alexylva exists due to Carthage's victory in the Second Punic War and the subsequent fall of Rome. 알렉실바 대학교는 재단이 닿을 수 없는 우주에 위치한 학습기관입니다. 이 우주의 분기점은 B.C. 207년 (알렉실바 식으로는 B.E. 207년) 근방 제2차 포에니 전쟁 중 메타우루스 전투가 일어날 즈음입니다. 재단이 알아낸 바에 따르면 알렉실바는 제2차 포에니 전쟁에서 카르타고가 승리하고 로마가 몰락한 탓에 존재할 수 있습니다. Knowledge of Alexylva University and the version of the planet Earth that houses it comes primarily from parcels of mail that have been deposited in the Baseline via a postal service known as the "Phitransimun Combine", which uses Einstein-Rosen bridges for mail and package delivery; occasional glitches in the system result in packages ending up in the baseline. Technological capabilities in the Alexylva universe are centuries ahead of the baseline. Despite this, there are several more antiquated tendencies; for instance, Roman numerals are still used in place of Arabic numeration, state-approved slavery still exists, and the minuscule case of the Latin Alphabet was never invented. 알렉실바 대학교와 대학교가 위치한 이 버전의 지구의 지식은 주로 우편물과 택배 배달에 아인슈타인-로젠의 다리를 사용하는, "파이트란시문 합동기업Phitransimun Combine"으로 알려진 우편 서비스를 통한 우편물 소포로부터 나옵니다. 가끔 시스템에 결함이 발생하면 짐이 기준 우주에 오게 됩니다. 알렉시바 대학교의 기술적 역량은 기준우주보다 몇 세기는 앞서 있습니다. 그럼에도, 현실보다 더 구시대적인 경향 역시 있습니다. 예들 들자면 로마 숫자가 여전히 아라비아 숫자 대신 사용되고, 합법적 노예제가 존재하며, 라틴 문자의 소문자가 발명되지 않았습니다. The geography, culture, and political state of the Earth that Alexylva University is placed in is largely unknown; the Foundation's been able to make some rough assumptions. 알렉실바 대학교가 있는 지구의 지리, 문화, 정치적 상태는 거의 알려지지 않았습니다. 재단은 몇가지 대략적인 추측만을 할 수 있었습니다. The world as a whole is referred to as Mundus, with the Western Hemisphere being known as Novomundus. 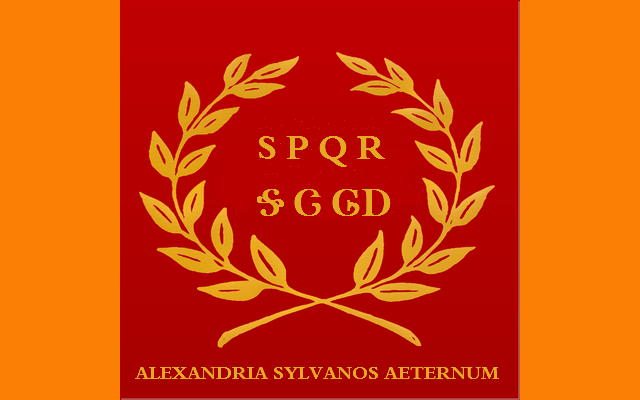 At least part of the North American continent is known as "Sylvanos", meaning "Of Forests"; Alexylva University is located in, and named for, Alexandria Sylvanos. 세계 전체는 문두스Mundus라고 칭해지고 서반구는 노보문두스Novomundus라고 알려져 있습니다. 적어도 북미 대륙의 일부가 "숲의"라는 뜻의 "실바노스Sylvanos"라고 알려져 있으며 알렉실바 대학교는 알렉산드리아 실바노스Alexandria Sylvanos에 위치해 있고 그곳의 이름을 따왔습니다. Two more regions, known as "Aquae" and "Sabulos"— "Of Water" and "Of Sands", respectively— are known to exist. While the location of Aquae is unclear, Sabulos is thought to encompass least part of the Sahara Desert, particularly Egypt, from the presence of a city known as "Novothebus", or "New Thebes". 각각 "물의"와 "모래의"라는 뜻의 "아콰에Aquae"와 "사불로스Sabulos"라고 알려진 두 지역이 더 존재하는 것으로 알려져 있습니다. 아쿠아에의 위치는 확실하지 않지만 사불로스는 "노보테부스Novothebus" 또는 "신테베New Thebes"라고 알려진 도시가 존재함에 따라 최소한 사하라 사막의 일부, 특히 이집트를 포함한다고 여겨집니다. With the assumption that the Phoenicians were the victor in the Second Punic War, it can be safely assumed that Carthage still exists, and is a major political and cultural body. However, evidence such as the continued presence of the "SPQR" initialism and the use of Latin further indicates that the Phoenicians allowed Rome to exist in some capacity. Furthermore, it can be assumed that the Iberian Peninsula has some political importance, as Iberia was in the process of being conquered by the Phoenicians during the Second Punic War. 제2차 포에니 전쟁에서 페니키아인들이 승리했다고 가정한다면 카르타고가 이후로도 존재하고 정치적 그리고 문화적 중심지가 되었을 거라고 쉽게 가정할 수 있을 것입니다. 하지만 "SPQR" 두문자어가 계속 사용되고 라틴어가 더 널리 사용되는 등의 증거를 통해 페니키아인들이 로마가 어느 정도의 능력을 가지고 존속하도록 허락했다는 것이 드러납니다. 또한 제2차 포에니 전쟁 중 페니키아인들이 이베리아를 점령했다는 점에서 이베리아 반도가 어느 정도 정치적 중요성을 지닌다는 것 역시 가정할 수 있습니다. 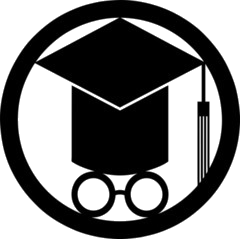 The University is a major institution of philosophy and science, and uses devices that can cause permanent damage to the human body or psyche with little care for the medical, moral or ethical ramifications. The pragmatic attitude appears to be based on the philosophy and ethical views of Aristotle, Plato, Socrates, and other pre-Christian philosophers, as well as the lack of more moderate European philosophers. This has lead to the continued acceptance of slavery, the willingness to experiment on human beings openly, and lax safety standards in comparison to the baseline. 대학교는 주요한 철학 및 과학기관이며 인간의 신체나 정신에 영구적 손상을 끼칠 수 있는 장비들을 그것들이 가져올 의료적, 도덕적 혹은 윤리적 파문에 별로 신경 쓰지 않고 사용합니다. 대학교의 실용주의적 태도는 좀 더 온건적이었던 유럽 철학자들의 부재와 아리스토텔레스, 플라토, 소크라테스, 그 외 기원전 철학자들의 철학과 윤리적 관점에 기반한 것으로 보입니다. 이로 인해 노예제는 계속 용인되었으며 공개적인 인체실험이 적극적으로 이루어지고 기준우주와 비교해 안전 기준이 느슨합니다. The written language used by Alexylva University in their correspondences is a mixture of Latin and Cherokee, with traces of Nauhatl and Greek syntax, indicating the Native Peoples of America had some form of cooperation with or assimilation into the Sylvanos state. 알렉실바 대학교가 서신에 사용하는 문어(文語)는 라틴어와 체로키어의 혼합에 나후아틀어와 그리스어 문법의 흔적이 남아있는 형태이며, 이는 아메리카 원주민들이 실바노스국과의 어떤 형태의 협력이나 동화를 겪었음을 보여줍니다. A recovered document refers to a "Barca Magnus", presumably either Hannibal, Hasdrubal or Hamilcar, all important figures in the two Punic Wars. The title is used as an epithet, similar in context to "lord only knows why," suggesting some degree of deification of one of the Barcas. However, it is possible that the worship of the Phoenician Deities continues to this day, particularly that of El, the Phoenician chief deity, also called Ba'al, and Tanit, the chief deity of Carthage, whose symbol is used heavily on certain flags. 회수된 문서에서는 "바르카 마그누스Barca Magnus"를 언급하며, 이는 추정 상 두 포에니 전쟁에서의 주요 인물들이었던 한니발, 하스드루발, 혹은 하밀카르를 일컫는 것으로 보입니다. 이 칭호는 일종의 별칭으로, ”신만이 아신다“ 와 문맥 상 비슷한 것으로 보아 바르카스 가문의 누군가가 신격화의 경지에 다다랐음을 암시합니다. 하지만 바알이라고도 불리는 페니키아의 최고신, 엘이나 카르타고의 최고신, 타닛의 상징이 특정 깃발에서 자주 사용되는 점에서 페니키아 신들, 특히 상술한 신들의 숭배가 오늘날까지 계속되고 있을 가능성도 있습니다.